Mirror Me is a coming-of-age psychological thriller written by Tara St. Pierre. Hannah doesn’t like to look in mirrors, and she especially avoids looking into the judgmental gaze of her reflection’s eyes. Her life has been closely monitored and scrutinized by her all-too-perfectly coiffed and attired mother, ever since they moved out of the house she had grown up in and into the townhouse in their new neighborhood. Her mom had somehow transformed herself from being a fun and loving confidante into a suspicious and at times openly hostile jailer. Everything had changed when her dad left them and moved out. Hannah and her best friend, Nikki, who also had to deal with a young and not-too-nice stepmother at home, went sort of wild in response to the stresses at home. They cut classes, teased boys and sneaked out of their houses at night -- until that evening when everything changed. Now, Hannah’s mom had a new sales territory, and she had pulled Hannah out of her high school and into a preparatory academy for her senior year. The transition had been awful. It was hard to make friends, especially when you were essentially grounded on a 24/7 basis. Hannah did have two friends who made life bearable for her. Grace was an overachiever who took Hannah under her wing and helped her keep her academic grades respectable. Zo was a whimsical and warm counterweight to Grace, and the two of them were lifelines for Hannah. But then, strange things that made no sense began to happen. Somehow she ended up plagiarizing Grace’s work and alienating both her and Zo. Hannah even began to wonder if there was a separate person glaring at her in the mirror and if that malevolent being was trying to take over her life. 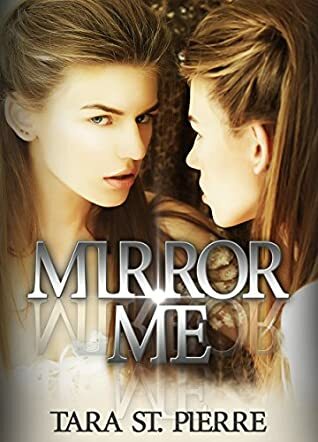 Tara St. Pierre’s coming of age/psychological thriller, Mirror Me, is a taut and moving tale that had me rapt and engaged in Hannah’s situation. I couldn’t help but feel for her as her mother’s controlling issues seemed ready to overwhelm her daughter, and wondered when Hannah would reach a breaking point. St. Pierre’s characters are beautifully portrayed and authentic, especially Hannah, Zo and Cole, the bad-boy who catches Hannah’s eye and begins her process of coming alive again. St. Pierre’s tale addresses the stresses and strains felt by students, especially those at prep schools where academic excellence is made sacrosanct, as well as the issues of guilt, forgiveness and redemption. This powerful and unforgettable story is most highly recommended.